NASA’s Transiting Exoplanet Survey Satellite, TESS for short, will add a powerful new tool to the hunt for Earth-like planets. Here’s how scientists are going about identifying habitable exoplanets. The hunt for exoplanets has been so successful that they now have their own periodic table, ranging from small planets orbiting in their star's hot zone to large Jovian planets circling within a distant, cold zone far away from their star. In between these extremes, lies the habitable zone, which researchers believe is most likely to support extraterrestrial life. To stand any chance of hosting life, a planet needs to meet certain criteria. It needs to be the right temperature: at least negative 15 degrees Celsius and no more than 122°C. It must have at least a few days per year of rain, fog, or snow and be exposed to an appropriate amount of sunlight. Nitrogen and oxygen are required in its atmosphere. And the planet must also be devoid of life-killing characteristics like too much incoming UV radiation. A technique known as transit photometry identifies a planet by observing it passing in front of its star, which causes the light emitted from the star to dim when observed from Earth or a space-based satellite. The bigger the planet, the bigger the dip in the amount of light that is observed. 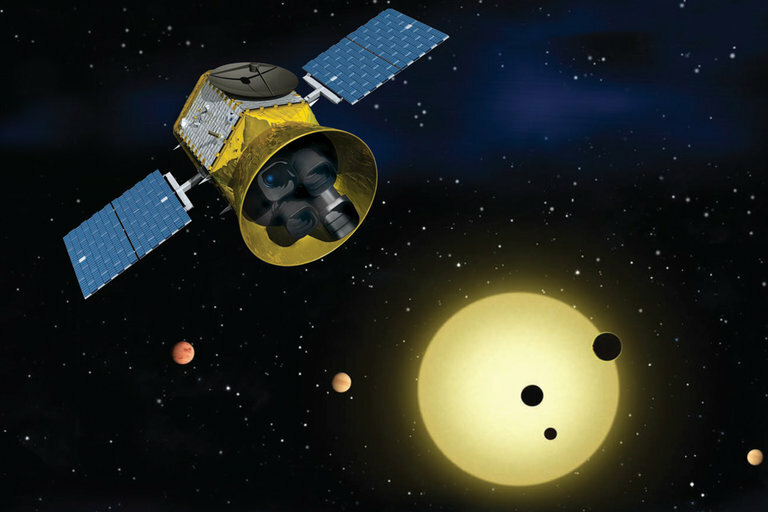 In addition to NASA's Transiting Exoplanet Survey Satellite (TESS), the European Space Agency and the Swiss Space Agency will add CHEOPS (CHaracterising ExOPlanet Satellite) to the hunt for exoplanets. The satellite is scheduled to launch at the end of this year. Kate Isaak is a project scientist on CHEOPS, which will measure the density of already observed exoplanets. Issak describes CHEOPS as a “small, relatively cheap, and fast mission,” which is able to build on information collected from previous European Space Agency and NASA missions, like the location, transit time, and mass of exoplanets. “By knowing when to observe, we can observe a star just before and just after the transit event only, which is very efficient,” she told Seeker. Using a planet’s size and mass, Isaak’s team can calculate the bulk density of an exoplanet and make predictions about whether it’s rocky, gaseous, or watery. CHEOPS will be able to measure very small, planetary shadows. Until now, smaller planets have been difficult to measure because the dip in a star’s light is so minute when a planet passes in front of it. “If you want to look at small planets, then you indeed need to go to space,” said Isaak, pointing out that Earth’s atmosphere can block out some of the light researchers are trying to detect. CHEOPS has other features that will allow it to block out a lot of the noise that interferes with its observations. A tightly insulated case will house the satellite’s instruments and dampen the light reflected off earth. And its light detector and electronics will work at low temperatures in order to make them more reliable. ESA’s PLATO, PLAnetary Transits and Oscillations of stars mission, is another satellite that will help in the quest to identify habitable exoplanets. It’s due to launch in 2026 and will use a method called radial velocity to estimate how much light might reach orbiting exoplanets and whether planets might be vulnerable to solar flares. An atmosphere can alter the temperature of a planet, hold vital gases like nitrogen or oxygen, allow for liquid water, and protect from the planet’s surface from UV radiation. Knowing the size of a planet helps in figuring out if it has an atmosphere because size determines the strength of a planet’s gravity, which is a factor in whether or not the atmosphere can support the conditions for life. The next step in determining if a planet is habitable, however, is decoding the rainbow of colors that beam back to Earth when light from a star passes through a planet’s atmosphere, a technique called spectroscopy. Physicist Francesco Pepe argues that spectroscopy is the most promising technique to find life beyond Earth because it can help scientists deduce the types of molecules that might be present in a planet’s atmosphere, the temperature of a nearby star, and the temperature on the planet. Pepe told Seeker spectroscopy has long been in use among stargazers. “We are not reinventing or doing something completely new, we’re just trying to do it better than before,” he said. Pepe and his team at the European Southern Observatory are using ESPRESSO, the Echelle SPectrograph for Rocky Exoplanet and Stable Spectroscopic Observations, to collect data from the Very Large Telescope facility located in the Atacama Desert of northern Chile. The signal from an exoplanet reaching Earth is so faint, said Pepe, that even he has difficulty comprehending it. To detect a planet’s light signal, a spectrograph requires a resolution twice as good as the best photographic camera, 100 megapixels, sit inside a vacuum at negative 130°C to hold the instrument steady, and channel incoming light through optical fibers the width of a human hair. Three of the big names in space exploration — NASA, ESA, and the Canadian Space Agency — will also collect spectrograph data using their next generation telescope, the James Webb Space Telescope, due for launch in Spring 2019. The telescope is 100 times more powerful than its predecessor, the Hubble Space Telescope, and will be able to peer through near-opaque clouds of space dust. Tony Del Genio, a climate scientist at NASA’s Goddard Institute for Space Studies, said hunting for habitable exoplanets means tapping into knowledge about the only habitable planet we know about — Earth. “Once you start talking about trying to figure out what types of planets out of the thousands that have been discovered might harbor life, then you move the discussion away from purely astronomy,” Del Genio told Seeker. Del Genio has spent much of his career modeling the effects greenhouse gases and aerosols on Earth’s atmosphere. Modeling is useful in projecting the effects of anthropogenic global warming, but it can also help estimate atmospheric conditions on another planet. “We’re asking the same question just in a different way,” Del Genio said. Many planets could be knocked off a list of habitable exoplanets because of the extreme conditions of space. Of the few planets that might be viable candidates for life, many of them orbit red dwarf stars, also known as M-stars. Red dwarves are dimmer and cooler than our sun, so exoplanets can orbit closer to them without getting too hot. Because these stars are young, however, they are prone to stellar flares and strong solar wind, which can batter and erode a planet’s atmosphere. And without an atmosphere, an exoplanet no longer possesses the conditions for water, oxygen, and nitrogen, which are needed to host life. “A lot of these M-star planets that we’re tentatively very excited about are going to turn out to not have any atmospheres at all,” said del Genio. M-stars also emit X-ray or ultraviolet radiation, which can damage or kill off any life that may exist. Without a thick atmosphere, life is even more at risk of radiation damage. The solution, Del Genio said, is to look for planets orbiting hotter and larger G-stars, or stars that are similar to our sun. Planets orbiting hotter stars can be located further away, absorbing enough heat to sustain life but orbiting far enough away to stay clear of any onslaught of stellar activity. It's more difficult, however, to detect a small planet orbiting a G-star. Because these stars are bigger and brighter, the dip in light measured by transit photometry would be extremely small. In addition, because a potentially habitable planet would be further away, its orbit is bigger and would pass in front of its star less often. Finding and characterizing G-star planets would require putting a very large telescope into space and having an instrument, known as coronograph, to block out most of the star's light. The technology won't be available for at least another two decades, Del Genio said. Unlike the space race of old, the hunt for Earth-like exoplanets is very much a collaborative effort. 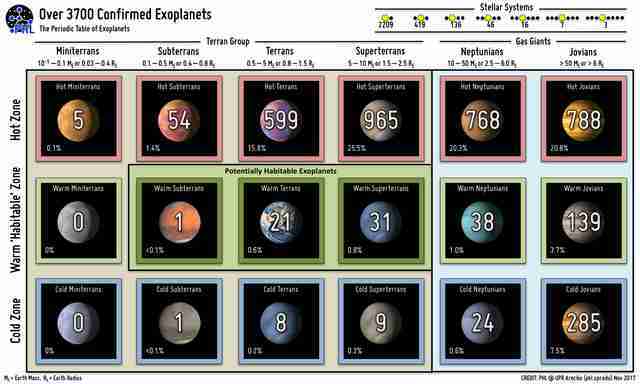 Researchers share information collected from various missions through online exoplanet archives, which allow scientists and engineers to learn from each other. Collaboration allows researchers to go back and re-explore data from previous missions. For example, a machine-learning program recently discovered new planets — Kepler-80g and Kepler-90i — previously overlooked by researchers.